The Gilbreths, whose sole claim to fame is that they have never heard of birth control, stage an unwelcome return in this, the sequel to the insipid Cheaper By the Dozen and the results are more of the same: meandering stories that don’t hold your interest, moments designed to evoke laughs that succeed only in provoking yawns, and the complete downplaying of all but about two or three of the daughters. In fact, the boys only ever materialize to play a series of pranks on a boyfriend of one of the sisters while he’s taking a bath. If the first thing you do once you show up at your girlfriend’s parents’ house is hit the bathtub and start scrubbing yourself down, you’re probably ripe for the old “barging in on you while you’re soaping your naughty bits” gag. Belles On Their Toes isn’t a complete retread of its predecessor though. It also manages to add some new and distinctly foul ingredients to the mix, chief among them is the family’s newfound musical abilities. Thus it is that we have to endure them singing every so often about such things as beans. I wasn’t quite sure what to make of it when the family battled tough economic times by purchasing hundreds of cans of baked beans and then made up a little ditty celebrating the fact. The younger members of the clan even began building structures with the cans! As wonderful a slice of Americana as this family’s unhealthy reliance on over-sugared legumes was, they really showed that good old fashioned American know how when they started brewing their own root beer to save even more money! As laudatory as that was, the family handyman (and if you’re reduced to living on baked beans and homemade root beer, then surely having a handyman isn’t an extravagance what with all the money you’re saving on the grocery bill) takes the opportunity to add some of his on ingredients to give the root beer an extra kick. Moonshining was never more wholesome! Another change they made in this movie was necessitated by the death of patriarch Frank Gilbreth at the conclusion of the first film. 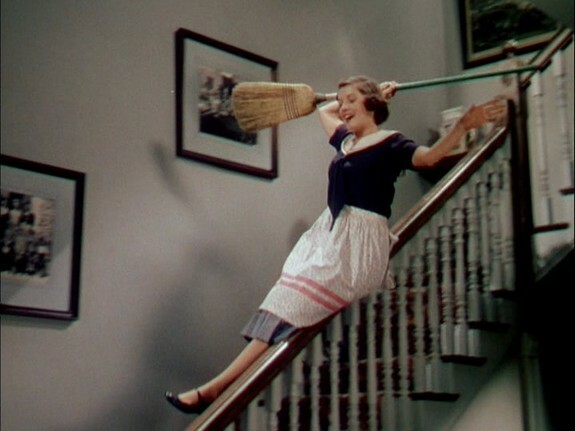 Clifton Webb would appear only in a few photographs and a flashback at the end of the movie, leaving it up to Myrna Loy to shepherd her brood through the turbulent waters of the early 1900s. I wasn’t really sure just what sort of turbulent waters there were, but Myrna kept talking about how she would do anything to avoid splitting up the family so there must have been some type of financial difficulties. Maybe she could ask her handyman to open up a speakeasy in her basement to help make ends meet. Or maybe this destitute family will get lucky and manage to sell their summer home on Nantucket, but since they can’t find a buyer for it, they have no choice but to go and stay there for the summer! This leads to a generally pointless series of events that culminates in an embarrassing singing and tap dancing routine on the docks at a nighttime barbecue that had me flashing back to the first movie when the kids were practicing their musical instruments and it was determined that they had no musical ability. See what a little practice and short term memory loss by the screenwriters can accomplish? If the movie had any kind of reason to exist merely beyond selling the idea that it’s heartwarming to have so many bratty kids, you did have the story of the mother attempting to establish herself as an efficiency expert in a world that didn’t want women in the workplace. I think she made the chauvinists’ point though when after she was turned down for a speech at an engineers’ club because no women were allowed, she got into a car wreck due to the stress. You know how those women drivers are. The other story we follow with little to no interest is whether Jeanne Crain (Dangerous Crossing) will hook up with the young and hunky doctor played by my favorite big screen Jesus, Jeffrey Hunter. The drama is supposed to come from the fact that Jeanne feels obligated to stay with her mom and help her raise the rest of the kids. 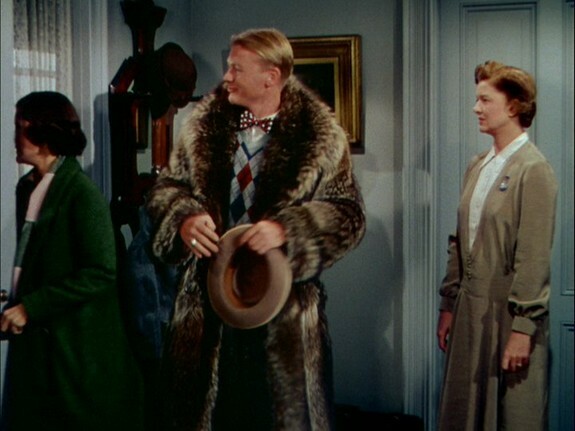 There’s very little drama actually involved though since we all know that as soon as Myrna Loy finds out that’s what Jeanne is up to, she’ll set her straight. At least, once that tow truck pulls her out of the ditch that is. 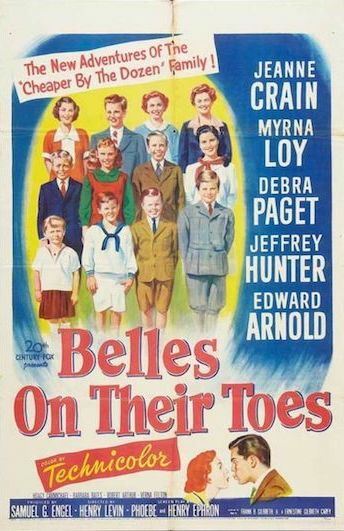 It’s a close call, but Belles On Their Toes is slightly worse than Cheaper By the Dozen. Whereas Cheaper By the Dozen obviously had the advantage of having the idea of raising twelve kids be as fresh as it ever would be (not nearly as fresh as the filmmakers would have liked – with that many kids, most of them just ended up standing around making the set looked crowded) as well as being able to play off the rowdiness of the kids with the efficiency and eccentricity of the father (and that was done quite poorly), Belles is forced to take the much blander route of having us alternate between listening to Myrna whine about how she’s getting discriminated against before becoming successful (mostly offscreen) with the even more generic boy problems of Jeanne. 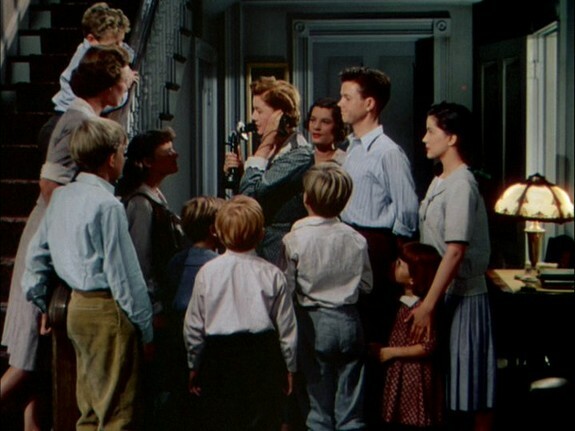 Thankfully, the saga of the Gilbreth family ended with this film, thus sparing us the proto-Party Of Five plot where the kids would have to raise themselves after Myrna’s inevitable demise. Morbid types out there might get a kick out of watching a pre-suicide Barbara Bates as Ernestine again as well as the pre-head-injury Jeffrey Hunter while normal folks will just be bored silly by it all.